The Community Partnership Research Program – sponsored by U of T’s Office of the Vice-President, Research and Innovation and supported by the Vice-President and Provost's University Fund and the Connaught Fund – will provide up to three years of funding to the seven researchers and their community partners. 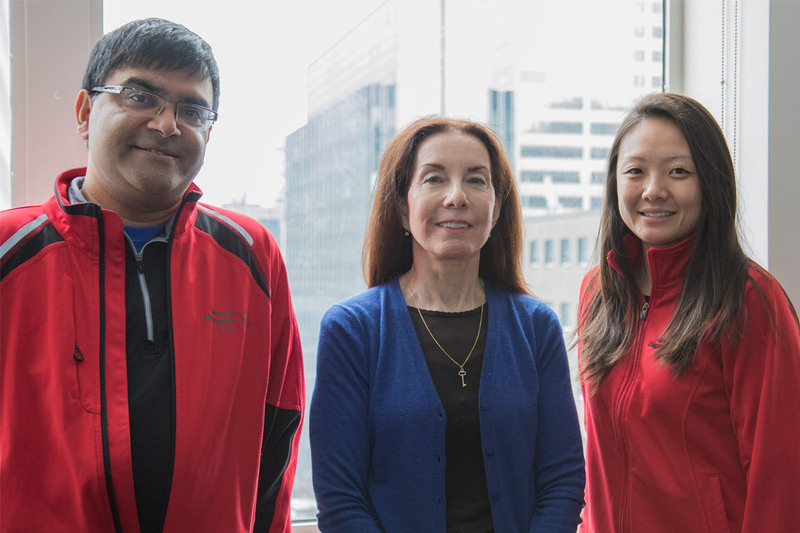 “We are pleased to support researchers who are engaging with community groups to collaboratively develop proposals to address real-world problems,” said Vivek Goel, vice-president of research and innovation. The research program’s organizers say they received an overwhelming response to their call for applications, with 42 groups submitting proposals. They decided, in turn, to expand the number of accepted proposals from four to seven and increase program funding from $600,000 to more than $800,000 for three years. “This uptake shows that the program responds to a need that's out there,” said Goel. The initiative is intended to help create new research partnerships, or nurture new partnerships, between the university and community groups, gaining access to each other’s knowledge, expertise and capabilities on issues of shared interest . The hope is that over time, the partnerships may evolve into more established relationships that will address meaningful issues for the community partners and successfully attract external funding. Eligible partners include not-for-profit organizations, philanthropic foundations and municipal, territorial or provincial governments. Guidelines for what constitutes community-based research were purposefully broad in order to encourage a wide range of multidisciplinary groups. And it worked: The applications come from across the university’s three campuses and many faculties. Community partners will serve as co-leads on projects. For Rebecca Renwick, a professor in the Faculty of Medicine’s department of occupational science and occupational therapy, the research program will help her and her faculty co-lead Kelly Arbour-Nicitopoulos, an assistant professor in the Faculty of Kinesiology & Physical Education, build a strong working relationship with their community partner – Special Olympics Ontario. The group will be working together to explore the relationship between belonging and inclusion in sport for people with intellectual disabilities. “Everybody is bringing something different to this research team so I think this will help us have more of a collaboration,” Renwick said. “Research doesn't have to be all observational, it can also be inclusive. We can include that which we are observing in the actual process of determining what we are observing,” said James Noronha, director of program development for Special Olympics Ontario. David Brennan, an associate professor in the Factor-Inwentash Faculty of Social Work, will be teaming up with organizations including the Gay Men’s Sexual Health Alliance and the AIDS Committee of Toronto with the aim of increasing access to care and services that will help to reduce the impact of HIV, mental health issues and substance abuse among gay and bisexual men. For organizations like the Gay Men’s Sexual Health Alliance, collaboration with academic partners is “infinitely valuable,” said its director, Phillip Banks. “Sometimes there are issues that don't have existing solutions so it really helps to bring in the research side of things. It helps us to look at the problems we're seeing and the work we're doing,” he said. Assistant Professor Sherry Fukuzawa of the department of anthropology at U of T Mississauga and the campus’s Indigenous Action Group will be working with the Mississaugas of the New Credit First Nation to support goals of truth and reconciliation. Associate Professor Cara Krmpotich of the Faculty of Information will be expanding on an existing partnership with the Great Lakes Research Alliance for the Study of Aboriginal Arts and Cultures and the Chippewas of Rama, bringing together university, museum, and community-based researchers who are working to better acknowledge Indigenous knowledge practices within research on Indigenous heritage items held in museums. Rebecca Renwick, a professor in the Faculty of Medicine’s department of occupational science and occupational therapy, and faculty co-lead Kelly Arbour-Nicitopoulos, an assistant professor in the Faculty of Kinesiology & Physical Education, will be working with Special Olympics Ontario to study the relationship between belonging and inclusion in sport for people with intellectual disabilities. David Brennan, an associate professor in the Factor-Inwentash Faculty of Social Work, will be working with a number of organizations to find optimal ways of increasing access to care and services that will help to reduce the impact of HIV, mental health and substance use among gay and bisexual men. Assistant Professor Shane McInerney of the Faculty of Medicine’s department of psychiatry will be partnering with the Whitefish River First Nation and Mnaamodzawin Health Services on the development of sustainable programs to reduce self-harm and suicide rates among young adults in those communities. Associate Professor Kelly O’Brien of the Faculty of Medicine’s department of physical therapy will work with Toronto organizations including Casey House, the Toronto People with AIDS Foundation and the Regent Park Community Health Centre to evaluate the implementation of a novel physical therapy (PT) model of care while examining the use of a patient-reported measure of disability in the clinical community with people living with HIV. David Roberts, assistant professor, teaching stream, of the department of geography and planning in the Faculty of Arts & Science, is partnering with Youth Employment Services and the Law Society of Ontario to map current GTA housing provisions for, and the everyday life of, unaccompanied and separated refugee minors, and to co-design alternative housing options.